The clever mind finds ways to justify why we should allow ourselves to slip back into old, selfish ways of acting upon desires and curiosity. The urges are many and have no inclination to be obedient to a major policy decision to become a better person. It is important to understand these inner ambiguities if we are to find ways to deal with them. Self-justification is evidence of repression, and is frequently triggered by the processes of social integration. Our natural urges and society's pressure are two very strong forces. Our animal nature must not be denied, although of course, to enjoy the fruits of social connectedness, it has to be tamed. War, and other violent crimes, shows us quite clearly how repressed passions eventually manifest – dangerously, and without even animal-level decency. 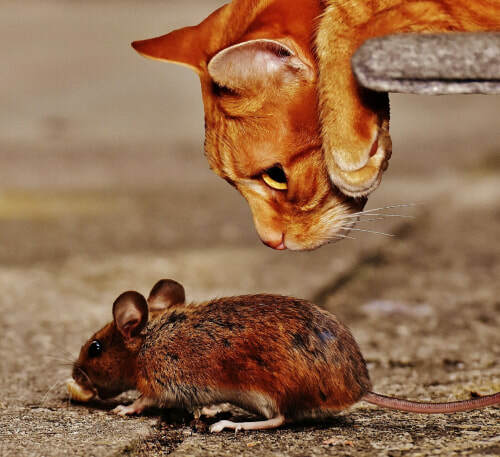 Our urges are as God-given as our conscience – so why is a cat arguing with a mouse? Why do we seek to justify what is natural? Yet we do. We deny instinct because we have been persuaded that reason is more social. Those of the herd have forgotten their individuality, and are inclined to trust this dry argument. Others cannot be civilised so completely that they will ever deny the animal passion – which they understand is life force. A powerful hunter kills to survive; it is natural. Yet society's answer is to provide daily cat food to soften the killer instinct and civilise the beast. The human being is part angel, part animal. Each part has the strong imperative to assert itself over the other and yet neither would be so magnificent without this perpetual contest. Neither can ever win, so we play this fascinating game without wholeheartedly taking sides. When we choose to have impact on the world, clear, yet dry, argument will not achieve the same type of influence as a passionate plea focused into persuasion; this can win both mind and heart. In other words it is necessary to focus desire and will through the lens of mind. If the mind lacks clarity or strength, then external forces will certainly bend its purpose. If we expect to achieve specific goals, the mind must be set before involvement. Preparation for an event is a part of that event and in some subtle way can influence the outcome ahead of time. Full enthusiastic participation in the preparation stage therefore clarifies our values and optimises the likelihood of success. Personal values develop through the co-creative interaction of two factors: self-discovery and confirmation through social integration. It's not enough just to feel what is right, neither is it good simply to be told by others. The feeling that we are entirely justified when we enjoy passion as much as self-control allows us to channel the power of our desire-nature appropriately, giving the mind the opportunity to consult its conscience before it engages the will. In this way we tame the beast rather than trying vainly to put it to sleep indefinitely.